On the late 1880s and early 1890s the Camden City Directories shows that Thomas Madden was in the liquor business at 11 South 3rd Street. By 1916 there were two bars existing side-by-side at 9 and 11 South 3rd Street. 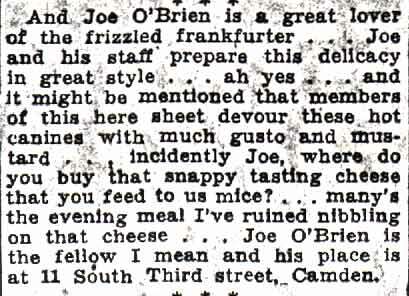 Charles Klump was the proprietor of 11 South 3rd at that time, and appears as the owner in the Camden City Directories through 1929. Charles Klump was born in New Jersey in 1881, and was a lithographer and printer by trade. He was married to Sarah Patterson in the 1900s, sadly, she passed away in 1909. He remarried not long afterwards. Directories from 1911 through 1913 show him at 1101 Broadway. He would have then been in rented lodgings as this was Adam Davis saloon and hotel then known as The Palace. On cane deduce that it was here that Charles Klump learned much about owning and opearting a bar. By 1914 Charles Klump and second wife Marion had settled in at 1374 Haddon Avenue, which would be his residence for the rest of his days. Charles Klump got into the bar business shortly before the 1916 City Directory was compiled. He passed away in 1929. Mrs. Marion Klump still owned the bar as late as 1934, as she is named in a Camden Courier-Post article as a tavern owner. She had by 1930 moved to 347 Haddon Avenue in Collingswood NJ. No further directories were published until 1940, however, it appears that new management was in place by 1936. Marion Klump never remarried. She died in 1963 and was buried in Harleigh Cemetery next to her husband. Joseph J. O'Brien appears in the 1936 New Jersey Bell Telephone Directory as operating the tavern. He also is mentioned in the "Philip A. Glass" advertising column that appeared in the Camden Courier-Post in October of 1936. "Philip A. Glass" was a pen name, the pun being "Fill Up A Glass"; the column featured snappy commentary about various bars and nightclubs throughout Camden and upper Gloucester Counties. 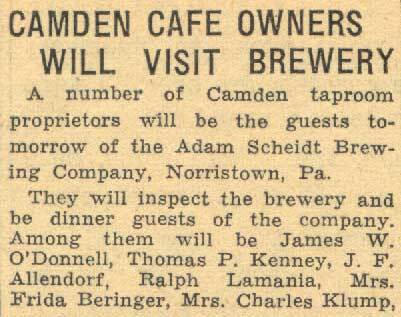 The bar was not listed in the 1940 Camden City Directory. The building appears to have been converted to residential use by 1947, when a porter, Culver Parsons, and his wife Helen appear in the City Directory as residing there. Probationary padlocks of one year were ordered by Judge Avis for the following establishments: [Frank's Cafe] Frank Auletto, as proprietor; William J. Stettler, bartender; Rebecca Friedenberg and Lena Teitelman, owners, 1135 and 1137 South Fourth Street, $1000 bond; William Barr, proprietor; George E. Stone, bartender; Marion R. Klump, owner, 11 South Third Street, $1000 bond; Annabale Corda, proprietor and owner; Mary Corda, employee, 1104 South Fourth Street, $1000 bond; Anthony and Stanley Knast, owners, 7807 East Park Avenue, Pennsauken, $1000 bond; Oliver Smith, proprietor; [Thomas "Bluch" Golding] Bertha Golding; owner, 1726 Master Street, $1000 bond; [Big Ed's Place] Edward W. Williams, proprietor; William J. Dolan, bartender, 623 Pearl Street, $1000 bond. Conrad Lambert, 44, of 1427 South Ninth Street, Camden, pleaded guilty to possession of liquor and was fined $35. Frank Tischner, 1244 Cambridge Street, pleaded guilty to possession and nuisance and sentence was deferred until June 19. Frank H. Poole, 1400 Rose Street, pleaded guilty to possession and maintaining a nuisance and was fined $35. James Rodgers, 1000 Segal Street, pleaded guilty to possession and maintaining a nuisance. Agents said he conducted a speakeasy and he was fined $l0 and given 10 days in jail. Harry Getty, 48, of 29 North Third Street, Camden, was fined $35 for possession of beer and maintaining a nuisance. 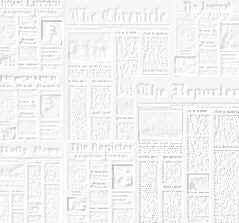 A fine of $25 was imposed upon Charles H. Lee, 30, of 1565 Mt. Ephraim Avenue, Camden, when he pleaded guilty to possession and nuisance charges. Annibale Corda, 35, of 1104 South Fourth Street, Camden, was fined $10 when he pleaded guilty to charges of possession of liquor and maintenance of a nuisance. [Steppy's Cafe] Walenty Szczepankiewicz, 63, of 1621 Mt. Ephraim Avenue, was given a 45-day jail term and fined $25 when he pleaded guilty to possession and nuisance charges. His son, Edward, 19, was freed on a suspended sentence and placed on probation for six months on similar charges. A bench warrant was issued for Mike Britto, of 112 North Delaware Avenue, and bail of $500 was ordered forfeited when he failed to answer charges of possession and maintaining a nuisance. Frank Cipriani, of 713 South Third Street, Camden, was sent to jail for 10 days and fined $1 when he pleaded guilty to possession and nuisance charges. His attorney said he was a prosperous South Camden business man who lost his holdings in the depression and has six children to support. Lawrence L. Murphy, 33, of 552 Haddon Avenue, Camden, was fined $25 when he pleaded guilty to possession of two jugs of liquor. He was arrested February 10 with the liquor in his possession. William Deroncone, 38, of 520 South Second Street, Camden, was given five days in jail and fined $1. He pleaded guilty to possession of a half pint, of liquor, in his cigar store.